These items are not biodegradable and therefore should not be flushed down the toilet. This list is just a sample list of some of the common things that people flush down their toilets on purpose. Problems can occur immediately or develop over a period of time. The non-biodegradable items can buildup in toilet drains and cause a clog to form. Depending on its location, freeing the clog can be a simple task for an experienced plumber. This is usually an emergency situation if there is only one bathroom in the home. That all depends on whether or not you want to attempt retrieval of the item that was flushed. Or, if the item has completely clogged your toilet drain. When it comes to valuables that are flushed down the toilet it is important to call a plumber immediately in order to retrieve them. These items can sometimes become lodged inside the trap within the toilet and can be easily recovered. Once an item passes through the toilet drain, recovery can only be attempted through a drain cleanout. It is a good idea not to run any water or flush any toilets in an effort to prevent the item from clearing the house drainage pipes into the sewer or septic system. Contact OrlandoEmergencyPlumber.Net to be matched with a plumbing professional in your area to assist you with your plumbing emergency. If your toilet and other drains throughout your home are functioning properly and you have no desire to recover the flushed item then you may have no need for concern. It is likely that the item has completely passed into the sewer or septic system. Continue to monitor your toilets and drains to make sure they continue to function properly. A foreign object that gets flushed can become stuck in the toilet's trap. The toilet may continue to function, but the bowl may appear to be draining slowly. What happens is that paper begins to accumulate around the object slowing the flow of water through the trap. Eventually the clog will completely obstruct the drain and your toilet will backup into your bathroom. If you notice anything out of the ordinary then it is possible that the item has caused an obstruction within your toilet or drains and you should contact OrlandoEmergencyPlumber.Net to be matched with a plumbing professional in your area to assist you with your plumbing emergency. If the toilet is completely clogged as a result of flushing a foreign object, you can attempt to clear the drain using a plunger. If you are unable to clear the drain on your own it is recommended that you contact a plumber. Plumbers use equipment specifically designed for clearing drains. Drains for showers, sinks and bathtubs tie into the same drain as the toilet. You will be unable to use any of these fixtures until the drain is cleared. 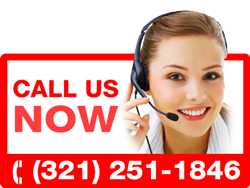 Contact OrlandoEmergencyPlumber.Net to be matched with a plumbing professional in your area to assist you with your plumbing emergency. We can match you to a Mold Remediation Specialist in Longwood. Your Longwood Plumber Could be On the Way Right now! 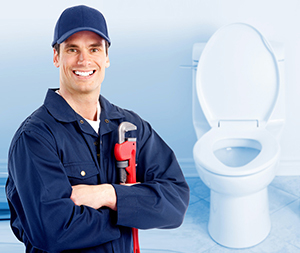 At OrlandoEmergencyPlumber.net we have many plumbers who provide Emergency Plumbing Services in Longwood. If you're having a plumbing emergency, we have a plumber who can resolve it.